Disabled fans wishing to attend the UEFA Nations League Finals 2019 in Portugal can now apply for accessibility tickets via UEFA’s online ticketing portal. The inaugural UEFA Nations League Finals will take place at Porto’s Estádio do Dragão and the Estádio D. Afonso Henriques, home of Vitória de Guimarães from Wednesday 5 June until Sunday 9 June 2019. Applicants have until 14:00 CET on Tuesday 12 February 2019 to register for tickets. Accessibility tickets are available in two categories – wheelchair user spaces and easy access seats. A complimentary companion ticket can also be applied for, where required, for wheelchair user and easy access ticket holders. Applicants for all categories of accessibility tickets are required to submit official proof of disability to support their application. Applicants should provide proof of disability that is commonly and widely accepted in their country of residence. Please note, blue badge-style parking permits are not usually considered as valid proof of disability. A limited number of accessible parking permits will be available for each match. Applicants can register their interest in receiving a parking permit when applying for match tickets. Further information on the allocation of parking permits will follow from UEFA. 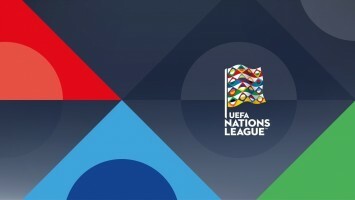 If you have any further questions about accessibility tickets for UEFA Nations League Finals, please contact UEFA Ticketing by visiting – https://support.tickets-unlfinals.uefa.com/hc/en-us/requests/new or contact CAFE by emailing info@cafefootball.eu or calling on +44 (0) 208 065 5108.